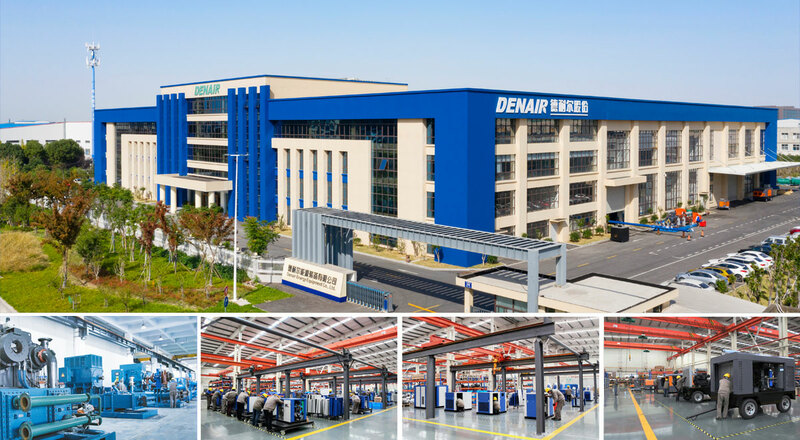 DENAIR Group is a Sino-German joint venture listed enterprise and is considered as one of the leading manufacturer of air compressor products in Shanghai, China. Founded in 1998, with over 500 employees. Our goal is to provide exceptional customer service coupled with quality products and energy saving solutions. At DENAIR, we earn our customers' trust and satisfaction by manufacturing the superior quality compressed air products for all industries. All of our products are designed for reliable performance, easy maintenance, and maximum energy efficiency. DENAIR has been exporting to more than 136 countries across the globe. We have sales representatives who can speak English, Spanish, French, Russian and Arabic, which makes it easier for our clients from all over the world to interact and negotiate with us. DENAIR continuously innovates product development and management to meet customers’ demand. The powerful enterprise culture and continuous innovation make DENAIR improved rapidly to reach the business principle “Energy Saving First, Mutual Value Shared”. DENAIR’s mission is to be a world-renowned high-end brand, with sustainable development, constantly improving its own value and sharing with our customers and staff. Committed to offer our customers a silent and energy-saving manufactured products.